Mononucleosis has long been known as the "kissing disease" because it's often spread through saliva, but this illness can in fact be transmitted through everything from a sneeze to sharing utensils. WebMD explains that mono is also known to mostly affect teens and young adults. That's because older adults have a built-up immunity to the sickness, and kids generally have very mild symptoms. But what is mono? Mono is an illness that leaves you extremely tired and sometimes even with a high fever, swollen glands and a sore throat. Just about everyone has had it during their young adulthood because it is easily spread. Due to the fact that you carry the virus with you forever, even when your symptoms are gone, you can still pass on the virus if it becomes active in your body. Mono is usually caused by the Epstein-Barr virus, which is one of the most common viruses in humans and belongs to the herpes family, according to eMedicineHealth. WebMD explains that mono isn't very serious, and that once your symptoms go away, you'll never experience the sickness again. It is important to note, though, that the virus can become active in your body, and while you won't experience any of the symptoms, you can still spread it during those times. Most adults won't actually contract mono because their immune systems have built up a tolerance. According to the Mayo Clinic, the virus lasts for about four to six weeks. 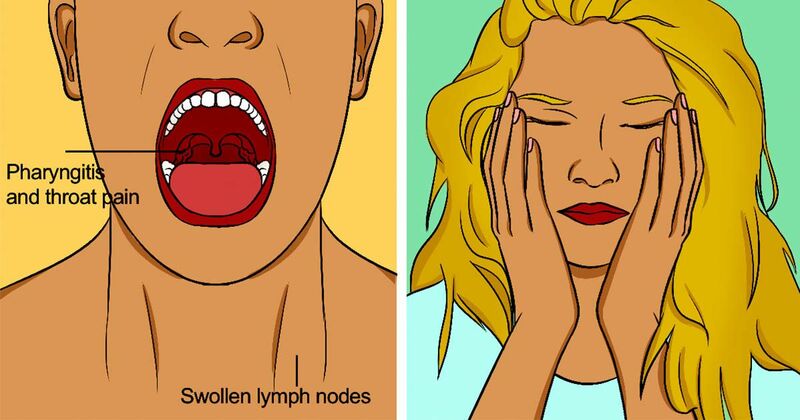 Symptoms like a fever and sore throat don't last too long (typically about two weeks), but tiredness and enlarged lymph nodes can last for much longer. If you recognize any of the symptoms above, it's important to go to your doctor to be diagnosed. Your doctor will evaluate your symptoms and how long they've lasted to determine if you have mono. Always speak with your doctor about your medical history before taking any medication.